The French Riviera is a world full of opportunities. Its stunning scenery, azure blue water, picturesque towns, and rich history are just some of the reasons why 40 million tourists visit the French Riviera and stay an average of 6.3 nights. The French Riviera has always attracted visitors – from aristocrats from Russia and Great Britain to famous writes and celebrities. And the reason why tourism on the French Riviera has grown over the years seems to be that once you visit, you always come back. Along the French Riviera, there are plenty of different towns to visit, including Menton to the far east of the Riviera, to St.Tropez to the far west. In this post, we’re listing 82 things to do on the French Riviera. Promenade des Anglais, is an infamous Riviera icon, located in Nice. The Promenade des Anglais is a promenade that stretches along the Mediterranean sea from Nice Airport, all the way to the Quai des États-Unis on the east. The Promenade des Anglais is a promenade that is approximately 7 kilometers long. As the name suggests, the Promenade des Anglais was built by English aristocrats in the 19th century. The Promenade, which it is referred to as today was initially called Camin deis Anglés, which translates to ”the English Way”. Today, the promenade attracts lots of tourists and visitors, and along the promenade, there are plenty of benches so you can sit down and enjoy the magnificent view. Porquerolles, also known as Île de Porquerolles, is an island on the French Riviera, located in Îles d’Hyères. The island is a popular tourist attraction and a must-visit among the things to do on the French Riviera. It’s a fairly small island, with a population of approximately 200. Its area is 1,254 hectares. There are three Îles d’Hyères island, and Porquerolles is the largest one. There is a small village on the island which was established in 1820, and it also has a lighthouse and a church. In 1912, the whole island was purchased by François Joseph Fournier. He then planted tons of vineyards, and started growing grapes for wine. Due to a lot of the island today being a national park, also known as the Port-Cros Parc National), the island is a must-visit if you want to experience the calmness of the nature. If you enjoy nature and animals, visiting this national park should be on your list on things to do on the French Riviera. The national park was established in 2012 and stretches over 520 km2. 85 km2 is land, and the rest of the national park is marine area, mixing water with land, creating a beautiful scenery. The national park stretches between Marseille and Cassis. This beautiful villa is located at Saint-Jean-Cap-Ferrat. The villa was designed by a French architect by the name of Aaron Messiah, and accordingly, the villa was constructed between the years of 1905 and 1912 by none other than Baroness Béatrice de Rothschild. As the name reveals, this villa on the French Riviera is from the Rothschild banking family. The villa overlooks the mediterranean sea and once the baroness moved in, she decorated the home with unique furniture, exclusive paintings, and other art, such as porcelain. The garden is a must-see if you are passionate about gardening. In fact, the garden is classified as one of the ”Notable Gardens of France” by the French Ministry of Culture. When Baroness Béatrice de Rothschild died, she donated her villa and everything inside it to the Académie des Beaux Arts, which is the reason why the villa is now open for the public. The name ”Lérins islands” is a gathering name for four islands on the French Riviera, located in the mediterranean sea, which creates a group of islands which are closely located to each other. 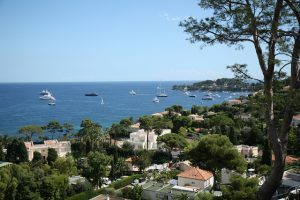 The islands are located very closely to Cannes, just minutes away by boat, and some of the islands can even be seen from mainland. the islands that makes up Lérins are Île Sainte-Marguerite, Île Saint-Honorat, Îlot Saint-Ferréol, and Îlot de la Tradelière. The two islands first mentioned are the largest of the four. VIsintg one of the islands is a popular tourist attraction as boats depart from the old harbour of Cannes regularly, making the journey itself a wonderful tour and experience. 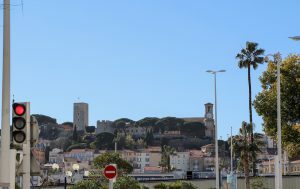 The islands are first known to have been inhabited during Roman times and now belongs to the commune of Cannes administratively. On St Honorat, there are monks inhabiting the island, who also happen to have their own vineyards, where they produce their very own wine. Pampelonne beach is considered the most wonderful beach of St-Tropez, and as a result, you can expect plenty of people here in the summer. The beach is located in Ramatuelle. The beach consists of almost five kilometers of beautiful white sand, which contrasts the azure blue water of the Mediterranean. If you’re a beach person who are going to the French Riviera to enjoy the wonderful beaches and water, then Pampelonne beach should be on your things to do on the French Riviera list. Pampelonne beach was one of the targets in Operation Dragoon – the Allied ivasion of southern France in 1944, which ultimately had the Germans surrender and abandon the south of France. After that, the beach has gotten its reputation thanks to celebrity individuals like Coco Chanel, and Juliette Greco, spending their summers there – something that French inhabitants still live on each and every summer. The name leaves little room for imagination, because this musee is in fact a Picasso museum which showcases Picasso’s art. The museum is located in the old town of Antibes and attracts plenty of tourists each year. The museum is located in the chateau where Picasso worked and lived during 1946. In 1990 Jacqueline Picasso, the wife of Pablo Picasso donated several works to the museum, after her death. This included 4 paintings, 10 drawings, 2 ceramics and 6 etchings. If you visit the Musee Picasso, you can see a total of 245 works by Picasso. Being a place in the south of France, the French Riviera has plenty of flower markets where you can find large collections of stunningly beautiful flowers. Many flower markets are open all year around, and if you’re close by, for example the flower market in Nice, you’ll be able to sense to wonderful scents of fresh flowers. The Ile sainte-Marguerite, also known the island of Saint-Marguerite is the largest among the Lérins islands. It is roughly 3 kilometers in length and 900 meters across. This island is a popular tourist attraction, not only because the boat ride that goes from Cannes in order to get here is stunning, but it also offers beautiful, calm beaches that are far from as crowded as the ones located just across, on mainland. This is especially true during summer. The boat ride from Cannes only takes a mere 15 minutes, which makes this island quite easy-accessible. The island has wonderful forests with beautiful umbrella pines and eucalyptus, making it a must-visit for the nature klover looking to get away from the high pace of the cities on the French Riviera. The village on the island is small, and made up of about 20 buildings, most of which belong to fishermen. The hotel which was previously located on the island closed in 2005. Moreover, it has a historic fort by the name of Fort Royal, which is mostly known for being the place where the man in the iron mask was locked in. Among things to do on the French Riviera, visting this island is a popular choice for many tourists. It is the second largest island among the Lérins islands, but it is mostly known for being an island inhabited by monks. It is the second largest island of the Lérins islands, located roughly a mile from Cannes and the mainland of the French Riviera. In lenght the island is about 1.5 kilometers and 400 meters in width. Today, the island is home to 30 Cistercian monks, and has stunning nature surroundings. The island has a number of chapels and points of interests, such as remains of a Napoleonic cannonball an gun emplacement from the second world war. Furthermore, it has a monastery which is used by the monks. As a tourist, you can even attend a mass. It’s not only Pablo Picasso which has his very own museum on the French Riviera. For the person who love art, you’ll be happy to hear that among the things to do on the French Riviera is visiting Mattisses very own museum, by the name of musee matisse. The museum contains a large collection of artworks from Matisse. In fact, it is one of the largest collections of his work. The museum opened in 1963 and is located in Villa des Arènes, which is a a seventeenth-century villa in the Nice on the French Riviera. The villa is located close to Hotel Regina which is the place where Matisse lived. Cap Ferrat is a place on the French Riviera that you just have to visit, with its stunning scenery, beautiful houses, and much more. Cap Ferrat is one of the most exclusive places on the French riviera, if not the most exclusive place on the French RIviera. If you visit, you’ll see enormous beautiful villas that carry the most wonderful view over the mediterranean. There are plenty of famous buildings on Cap Ferrat, such as the Villa La Mauresque , which was orignially built in 1906 for King Leopold II’s father-confessor, Villa Maryland, which is owned by the co-founder of Microsoft, and maybe the most important, the Grand-Hôtel du Cap-Ferrat. The name isn’t that revealing for many people, but when Cannes film festival is mentioned, the vast majority of people know exactly what it is. It is a convention center, located in Cannes on the French Riviera, which regularly holds festivals and conventions, including Cannes Film Festival and Cannes Lions. The building was inaugurated in 1982. For people who visitCannes, visiting this place is almost obligatory, and taking a photo on the red carpet is simply a must. If you are in Nice, or even if you are anywhere else on the French Riviera and looking for things to do on the French Riviera, visiting the castle of Nice should definitely be one of them. The castle of Nice, was a citadel which was used for military purposes back in the days. It is built on the large hill on the east side of Nice, strategically placed of course, in order to make it harder to attack, but also to get a view over the mediterranean to see if any intrudors are coming from the sea. The castle of Nice was built in the 11th century and stood until the 18th century. Many times, the castle was besieged, but in 1705, it was taken back by French troops. Unfortunately, though, the castle was destroyed in 1706 after orders from Louis XIV. While the castle isn’t still standing, there are plenty of reasons to visit the castle hill, which it is now called Castle of Nice. The hill is a wonderful park today, which you can stroll in and enjoy the beautiful gardens. If you get to the very top, the view is magical, as it gives a complete view over Nice and the mediterranean. It offers a panoramic view over the city and everything surrounding it. Another museum worth visiting on the French Riviera is the museum of Marc Chagall. The museum’s full name in French is Musée National Marc Chagall and is the largest public collection of paintings from Marc Chagall, the Russian-born artist. The museum was opened when Marc Chagall was alive, from support of the Minister of Culture André Malraux. The museum was then inaugurated in 1973. The museum is also known as the “National Museum Marc Chagall Biblical Message” since the museum holds seventeen paintings that are illustrating the biblical message. When Chagall opened the museum he himself decided exactly the place where he would put his pieces. The Giens Peninsula is located on the French Riviera, and more specifically close to Hyères. This is the perfect place if you want to find sporty and outdoor things to do on the French Riviera. It has campgrounds, a stunning panorama view of the peninsula, as well as water sports. As the name suggest, this is a cathedral located in nice, and is a Roman Catholic church. The building of the cathedral was begun in 1650, and the cathedral was completed in 1685. As a result, the cathedral is very old and thus rich of history. This makes the cathedral a popular attraction for tourists to visit. In 1906, the cathedral was classified as a national monument of France. The cathedral is dedicated to the Assumption of the Virgin Mary and Saint Reparata. This is a popular fruit, vegetables, local product’s market in Nice, more specifically, the old town of Nice. The market offers lots of true French products, as well as locally produced flowers, vegetables, and fruit, where you can literally taste ether freshness. The market is held at the Cours Saleya, thus its name. The market is held from Tuesdays to Sundays, from 6.00 am to 1.00 pm. It is closed on public holidays. If you really want to soak in the southern French Traditions and vibe, this is a must-visit. The delightful scents from the flowers are hard to miss, and makes this a true French Riviera experience. In the market, the olive oils are tremendously popular, as they come directly from the area of provence. Talk about fresh olive oil. Cap Canaille is a headline located between the towns Cassis and La Ciotat. It is located 394 meters above sea level, making it the highest sea cliff in France. The beautiful rock face is referred to as Falaises de Soubeyrannes and consitsts of different layers of stone – sandstone, conglomerate and limestone. The stunning Corniche des Crêtes road is located on top of the cliff, making it a stunning place to drive wtih the msot beautiful scenery over the Mediterranean. Here, you can go hiking – and rock climbing if you dare. Be careful though. The hiking offers stunning views and a pleasant walking experience. Fort Carré is a historic fort which was built in the 16th century, which is often called Fort Carré d’Antibes. The fort is star-shaped and has four arrow-head shaped bastions. The fort is located just outside of Antibes. The Romans are believed to have built the first forts in Antibes, which was in 1553, a tower called la tour Saint-Florent. Following Henry III added four bastions in 1565, and it was then it became Fort Carré – which translates to the squared fort. The first was strengthened in the 1680s to protect against ricochet fire. Today, the fort can be visited by tourists, and many tourists are visiting this attraction every year. The Palais Lascaris is an aristocratic building located in Nice, on the French Riviera, build in the seventeenth-century. Today, it is a musical instrument museum, which holds more than 500 instrument, making it the second most important collection in France. The house was owned by the Vintimille-Lascaris family until 1802, but in 1942, the house was bought by the town of Nice with plans of turning it into a museum. In 1070, the museum was finally finished. Today, you can visit this marvellous and historical museum and see historical music instruments built around built around 825-1904. Also referred to as Loup, this is a beautiful commune located in the southeastern France. It is a small artisian’s village located close to Vence, and it has stunning medieval and Romanesque buildings if you are interested in that. It is mainly a tourist village, but the village has a long and rich history. Visiting Tourettes-sur-loup does not only give you a stunning scenery and a rich history, but it also gives you a delightful contrast to the large cities of the French Riviera. This is a place that is often seen on lists of things to do on the French Riviera, including this one. When you think about exploring small pitoreesque french villages, this is the definition of one, and so, this is the reason why many tourists find their way here. This is the largest calanque of the Calanques National Park in France. Depending on how you count and measure, and since the French Riviera has no official borders, this may or may not fall into the French Riviera, as it is located n the 9th arrondissement of Marseille. Calanque de Sormiuo is famous for its popular climbing spots and incredible scenery. Larvotto is the most eastern point in the Principality of Monaco. It is boarding Roquebrune-Cap-Martin, and in Larvotto, you can find the Grumaldi Forum, which is a conference and congress centre at the seafront of Larvotto. This area was the most expensive area to live in. On Avenue Princesse Grace, which is located just located along e Larvotto Beach, the average apartment costed $6,970 per square. Here, you can also find the Japanese Garden. The russian orthodox Cathedral in nice, also known as the St Nicholas Orthodox Cathedral, is, as the name reveals, an Orthodox cathedral which has been recognised as a national monument. The russian orthodox cathedral in Nice is the largest Eastern Orthodox cathedral in Western Europe. A long legal dispute over the cathedral has taken place, and in 2011, the court transferred cathedral to as property of the Russian state. Today, you can visit the enormous building and adore its stunning architecture and details. Not surprisingly, visiting the cathedral is one of the most popular things to do on the French Riviera, or at least among the things to do in Nice. Golfe-Juan is located along the French Riviera and belongs to the commune of Vallauris. Golfe-Juan is a popular place for tourists mainly due to its beaches. In 1815, Napoléon Bonaparte came to Golfe-Juan with 600 men, after having escaped exile on the island of Elba. As the name reveals, this is a botanical garden which is located on the Place du Général de Gaulle in Èze. It was after the second world war that the garden was created, built on the ruins of a chateau by the town’s then major André Gianton. The garden is located on a highly steep terrain which falls over 400 meters, giving the most stunning panoramic views over the mediterranean. The garden has an incredible collection of cactus and succulent which comes from Africa, the Americas, and the Mediterranean region. The Annonciade museum is proof that Saint-Tropez has been the active leader of avant-garde paintings after Paul Signac who discovered the little fishing harbour in 1892. The main bought a house and started painging, as well as invited several of his friends to join, including Matisse, Derain, Marquet. Today, the Annonciade museum showcases works fro 1890 to 1950. Parc hoenx is a botanical garden and zoo, located in Nice on the french riviera, layed out 7-hectar. The park was inaugurated in 1990. The park has different zones in which it is split up in, such as an animal zone, tripical zone, water zone, etc. Villa Kerylos is a house located in Beaulieu-sur-Mer on the French Riviera, and is built in ancient greek style around the early 1900s. The villa was built by the French archaeologist Theodore Reinach. and has been listed as a historic monument – a monument historique by the French Ministry of Culture since 1966. Building of the house began in 1902, and 6 years later, it was completed. The house is beautifully decorated and has influences from Rome, Pompeii and Egypt. The building has been fitted with the modern 20th century amendies, such as electricity and underfloor heating. The house was donated to the Institut de France, and today, the villa is a museum open to the public which you can visit and enjoy. The Calanque de Port-Miou a long and narrow calanque, making it suitable for a marina. It is one of three calanques in Cassis.The name of the harbour is Port-Miou which is meant to mean the “best port”). This is a lovely museum located in Menton, the last city before the Italian border to the east. The museum is dedicated to the French artist Jean Cocteau, and if you are interested in art, visiting this museum should most definitely be on your ”things to do on the French Riviera” list, among many other museums. This museum showcases the collection which belongs to the American businessman and Cocteau enthusiast Séverin Wunderman.The museum is divided into seven parts, and the museum holds nearly 1000 graphic works by Cocteau. The majority of works come from Séverin Wunderman’s own collection. The villa Massena museum is a museum located in the city of Nice. 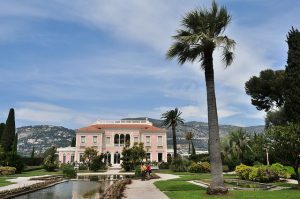 The museum is located inside of one of the most prestigious villas of the nineteenth century, located on Promenade des Anglais. The house was sold by the son of Victor Masséna which was built by his father to the city of Nice, in 1919, under the condition that villa became a museum with the name ”Massena Museum”, as well as had its garden open for the public. This wonderful Belle époque museum is simply a must-visit if you are ever in Nice , and enjoy beautiful buildings and history. The museum was renovated for 8 years and then reopened in 2008. The vill has a whopping 23 exhibition rooms and several lush gardens. The exhibits focus on the history of Nice. The Vallée des Merveilles is part of the Mercantour National Park , located on the French Riviera. The value holds the largest number of open-air Bronze Age petroglyphs in the whole of Europe, after a location in Italy. Here, you can find tons and tons of rock engravings, petroglyphs on stones througout the valley. The petroglyphs were first identified by the British archaeologist Clarence Bicknell in 1881, and between the years of 1897 and 1902, he catalogued more than 10,000 drawings. So, you can expect to see quite a lot of history if you visit. Paloma beach is both a beach and a restaurant, located just next to the beautiful blue mediterranean water. It is a luxury beach and hotel that offers amazing service, and a day on the beach out of the ordinary. If you want a calm and relaxing day on the beach, and escape from the huge crowds during summer, this is the palce to go to. Château de la Napoule is a French castlem located in Mandelieu-la-Napoule, which has been restored to its initial glory. The chateau has been an historical landmark since 1993. If you enjoy architecture, buldings, and gardens, Chateau de la Napoule is a must-visit. A calque is a ”narrow, steep-walled inlet that is developed in limestone, dolomite, or other carbonate strata” an can be found along the mediterranean coast, incluing the French Riviera. A calque is formed by erosion or a roof of a cave collapsing. If you want to see a Calanque, you can visit the Calanque d’En-Vau. The Notre-Dame de Nice is a basilica located in Nice on the French Riviera. The basilica is Roman Catholic and located on Avenue Jean-Médecin, right in the centre of Nice. The basilica was built between the years of 1864 and 1868 and was designed by Louis Lenormand. The Notre-Dame de nice is the largest church in Nice, but not the largest cathedral. If you visit, you’ll be hypnotized by the beauty of the Notre-Dame de Nice, with all of its stunning architectural details and features. The basilica is inspired by the Angers Cathedral and is built in a Gothic style. This basilica is one of the most popular tourists attractions and places that are included in a tourist sightseeing tour in Nice. Marineland is a theme park located in Antibes. The theme park was founded in 1970 and covers 26 hectares, including things like a marine zoological park with dolphinarium, a water park. a children’s play park, a hotel, a mini gold park, and much more. The theme park has is one of four French, dolphinariums, and one of two European dolphinariums presenting orcas. Marineland had a whopping 1.2 million visitors in 2014, making it the most visited attraction and site in the whole Provence-Alpes-Côte d’Azur region. So if you trust the opinion of the crowd, on things to do on the French RIviera, quite a lot of people seem to agree that among the things to do on the French Riviera, Marineland should be one of them. This museum is located in the old town of Cannes, in the quarter that is named Le Suquet. The museum is located inside the castle which is located oat the top of the hill of Suquet. Le Suquet is the oldest part of cannes, where monks used to live, so this part of Cannes is rich of history. The castle museum in Cannes showcases various collections which belongs to the city, including primitive arts of Himalaya-Tibet, Arctic, pre-Columbian America, Oceania, Mediterranean antiques, musical instruments of the world of Asia, landscape paintings of Prevence, and so on. Parc du Muguel is a botanical garden and municipal park located in La Ciotat. The park and garden is located betwen Marseille an Toulon. This attraction has been listed in the list of Notable Gardens of France by the French Ministry of Culture, which proves that it certainly is a park to visit as a tourist. The botanical trpical garden has 30 different species of palm trees, as well as a ton of other tropical plants. Outisde of the main house, you’ll bealso be able to find a wonderful garden of lavender. Among the many species of palm trees you can find in Parc du Muguel are mimosa, bougainvillia, bamboo, banana. The park is quite large – twelve hectares. There are plenty of tourists trains in different cities and towns on the French Riviera. These trains go past important monuments and places in the city from which it is starting, as well as give you a prerecorded tour guide through headset as you’re going. As walking around to each and every place in a town can be tiring, this is a great way to see large parts of the city, without having to walk like a maniac, while, at the same time, you’re learning things ago ut the area. There are tourist trains in Cannes, close to the festival place, and in Nice, you can find trains on the Promenade des Anglais. Note that these tourist trains are mainly or solely available during the high season. The Château Grimaldi is a castle located in Cagnes-sur-Mer, built on pthe grounds of a previously existing fortress built by the greeks, follwed by the Romans. The Grimaldi name is indeed the same name as the ruling house of Monaco, and in 1309, the castle was built by Rainier Grimaldi who was a lord of Cannes, an admiral of France, and most importantly, an ancestor to them. The chateau was used as barracks and a hospital during the French Revolution, and today, it is owned by the city of Cagnes. The chateau is strategically built on a hilltop, something that virtually all houses and tows wee back in the days, to preotect from any attacks. The chateau is beutifully detailed and has a lot of its orginical charm left. Today, the chateau Grimaldi is used as an exhibition centre for contemporary art that come from all around the world. It is also a museum of modern art. Therefore, if you’re interested in art and architecture, chateau Grimaldi is definitely among the things to do on the French Riviera. The Parc du mont Boron is a beautiful park located in east nice. The two most popular attractions here are Chateau de l’Anglais and Grotto of Lazaret. In the garden are beautiful alleys that stretches between the gorgeous plants, trees, and flowers, making a stroll there is a great activity on the French Riviera. There are picnic areas and parking lots so you can go here and enjoy a picnic in the beautiful calm of Parc du Mont Boron. Embiez, or Île des Embiez is an island located on the French Riviera in the Mediterranean sea. Embiez is a popular tourist attraction for people who want to explore more of the Freidn Riviera. Moreover, Embiez is the largest island In the Embiez archipelago. The island is located Var department in the Provence-Alpes-Côte d’Azur. Visitng this island is perfect if you re looking for a bit of calm and relax as the island only has a mere population of 10. There are frequent daily ferries which runs to the island which you can toake. Note that the highest actvity is during the summer, and this is also the best place to visit. The island’s surface area is 0.9 square kilometers. On the island, you can actually find a hotel which has 60 rooms, a suite, and 150 appartements. There are five restaurants not eh island, one of which is the seasonal Paul Ricard seafood restaurant, which is inside of a tree mast sailboat. Note that this restaurant is only open in July and August. Due to its ”remote” location, the island has strict environmental policies, making it possible for you to see various birds such as avocet, the plover, the grey heron, and the cormorant. If you want a day on the beach, no problem, this island has seven. It also has a pine forest, a nature trail, and a vineyard. Cimiez monastery is a monastery located in the district of Cimiez. It is a church and Monastery populated by a small community of Franciscan friars. Plenty of tourists go here, and the majority of those that do come here for the Franciscan Museum which showcases a collection of objects that show the way of life observed by the Franciscan monks along the centuries. The cemetery of the church is where individuals like Henri Matisse and Roger Martin du Gard, and Raoul Dufy are buried. The church is fitted with significant paintings from the 15th century, which were painted by the local artists the Brea brothers. Among the things to do on the French Riviera, visiting Nice is definitely a part of many tourists plans. Many of the things to do in Nice has already been listed above, but doing everything in just a few hours isn’t possible. Nice has a lot to offer, and you can literally spend several weeks or even months just exploring Nice. Take a day to explore what Nice has to offer, and make the old town of nice a must-visit. Nice is essentially the largest city on the French Riviera, and often referred to as the homebase of he Riviera. Many tourists choose to live in Nice so they they have a relative close distance to everything around, from Cannes to Monaco, making day trips a great activity. Nice is considered to have the best nightlife on the French Riviera, maybe except from beach clubs during the summer. HIGH club is a popular club in Nice if you are all into clubbing. The mediterranean cuisine is known from all over the world, and this cuisine is mainly centred around seafood, which isn’t that strange considering the French Riviera is located right next to the Mediterranean, making fishing an important part of the Riviera’s history. Because in fact, many of the cities, including Saint-Tropez and Cannes have initially been small fishing villages. 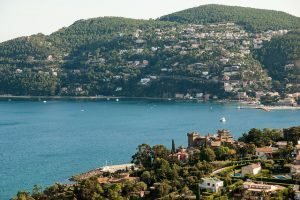 On the French Riviera, you there need to put food and mediterranean cuisine at the center of your list of things to do on the French Riviera. There is a never ending list of restaurants, some terrible, some amazing. If you’re in the large towns, and on the more exclusive streets, it’s relatively expensive, but you can find these amazing French gems and have incredible traditional French mediterranean cuisine at a fair price. For the vast majority of tourists, Monaco is part of their schedule. Why? Because Monaco is unique in so many ways, and the reasons to visit are endless. 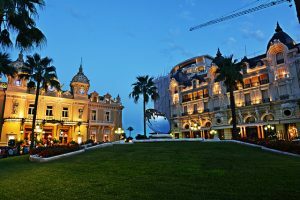 Just the fact that Monaco is the second smallest country in the world should be convincing enough, but moreover, it is among the most luxurious and expensive places in the world, as it attracts many of the rich and famous. The Monte Carlo is a French Riviera icon. in fact, it is an icon in the world, for many reasons. One of them being that the Casino de Monte Carlo was the place where the James Bond movie Never say never, and then later at the beginning of Goldeneye. The casino was built in 1863 to help prevent the country from bankrupcy, but since gambling was looked down upon by the church, it was referred to as a health spa. The Casino of Monte carlo building is a true icon. Its architecture is stunning, and the inside equally so. Sometimes, the dress code of entering is strict, so you’ll be best off with a nice outfit when entering. Sometimes you even need a passport to get in. Moreover, they also sometimes ask for an entrance fee. Whether you gamble or not, visiting the casino of Monte Carlo is truly an experience out of the ordinary. Hard rock café is a well-known restaurant/bar that has venues all around the world. It also has its fair share of highly loyal and engaged customers, and you might be one of those. In Nice, on Promenade des Anglais, there is a Hard Rock café which is highly popular. You can expect delicious food, and enormous portions, and if there’s room, you can sit on the second floor, which gives you a stunning view over the mediterranean and the promenade. This is the perfect restaurants for americans who miss home, or if you just want to get away from the French Cuisine for a second. Most people know about L’occitane, a famous brand that has its roots in Provence. If you’re a loyal fan of the brand, or if you’re just curious to see behind the scenes, Loccitane offers guided factory tours among the lavender hills between Avignon and Nice,. During the tour, you’ll see how the production takes place, and how the brand harvests and distills local ingredients such as lavender, rosemary, almonds, and olives, all of which are used in products such as perfumes and creams that are used all over he world. Moreover, you’ll also learn history about the brand, such as how Olivier Baussan founded the company in 1976, and how he started making oil from rosemary and sellling it at the local market. The famous Negresco hotel with its pink dome in Nice on the French Riviera is an unmistakable building and a true landmark of Nice. While living in the hotel is quite expensive, the people who do spend their time there consider it well worth it. The stunningly beautiful belle Époque hotel with incredible interior, and a wonderful attention to detail is simply jaw-dropping. The hotel has a two.star Michelin restaurant, as well as a bar which you can relax in, with professionally made cocktails, sitting in a luxury couch or chair. Le Suquet is the old quarter of Cannes, situated on a hill on the west side of Cannes. Back in the days, almost all buildings and tows were built on hills to protect from any intrudors or enemies by sea, and eventually, a watchtower, a castle, and walls were also built on the top of the hill. The hill is mostly known for having been the place where the Lerins monks, the monks who lived on the islands of Lérins, and more specifically the island of St. Honorat in the 11th century. The monks also built a castle in 1088 which still stands today. The watchtower was built to send signals to the island where their partners lived if any enemies could be seen from seas. The area has small narrow streets, as yo u can expect to find in an old town. It has stunningly, typical french cafés, restaurants, and shops, and once you get to the top of the hill, the view is simply breathtaking. Fragonard is one of the most famous perfume makers in the word, not only making perfumes under its own brand, but also producing perfume for some of the top brands in the world. The name Fragonard comes from the 18th-century French painter Jean-Honoré Fragonard. The fragonard factory dates back to 1782 and is located in the town famous for its manufacturing of perfume, Grasse. Fragonard offers guided tours so you can learn all about the process of how perfume is made, you get to learn how to distinguish different smells, the history of Grasse perfumes, and the history of Fragonard, and much more. You will also see old equipment used to make perfume, and lastly, visit Fragonard’s gift shop where you can purchase fresh Fragonard products. The grand corniche is the highest of the roads that stretches along the coast, this also makes it the most dangerous. This chateau was built in the beginning of the 20th century, but it is designed and built in the way that makes it seem like the chateau has stood there for ages. It mixes stunning architecture with beautiful details and interior. This chateau was mainly built because of the surrounding land: the vineyards. From here comes plenty of quality wines, so if you are interested in wines, this is the perfectlace to visit. If you want to have a guided tour of the castle, you can do so for free, but if you want to go on a wine tasting, these come at a fee. You are probably no stranger to the world-known event and festival Cannes Film Festival, and for many people, this is the event of the year. And for Cannes, it is undoubtedly the most important event of the whole year. If you are visiting during the film festival, Cannes is truly a town of life, with tons of tourists crowding the streets. St-Tropez is a true pearl on the French Riviera, and should therefore definitely be on your list of things to do on the French Riviera. It is known for its glitz and glam, and for attracting plenty of rich and famous, who spend and party like crazy on the beach clubs. But the truth is that Saint-Tropez hasn’t always been like that. In fact, back int he days, Saint-Tropez was a mere calm fishing village. During winter and autumn, Saint-Tropez dies down and is as calm as it was when it was a fishing village. As a result, it really is the best to come in the summer, because that’s where this town is alive, and you might be able to see some celebrities. Just like Fragonard, Molinard, which is another perfume maker in Grasse also offers factory tours. Molinard was founded in 1849, and you can find their factory in Grasse. Mlinard is considered a top-class perfumery which has created some of the most famous fragrances for more than 150 years. If you are interested in learning about the history of perfume, how perfume is manufactured, how Molinard comes up with their scents, they offer guided tours where you can learn all about it. Port Grimaud is located right next to Saint-Tropez and is a seaside town on the French Riviera. The town was designed by the architect François Spoerry in the 1960s who designed all the houses in a traditional fishermen, French riviera style. Grimaud has a port that is popular among luxury yachts, so for people who love yachts and luxury boats, this is a popular place to visit. The oceanic museum of Monaco is an incredible museum – both on the inside and the outside, and for many reasons. It is a combination of aquarium and museum that is more than worth visiting if you are around Monaco. It is located right next to the sea, and almost on the edge of a cliff. There is a restaurant on top of the oceanographic museum of Monaco which makes for the most incredible view over almost the whole of Monaco. Inside of the aquariums, you’ll see thousands of different fish species, including small sharks and much more. This is a place that is suitable for both children as well as adults. While both Molinard and Fragonard offer tours of their factories, in Grasse you can find an international perfume museum which extensively covers everything there is to know about the French perfume industry, which, essentially, is almost solely focused on the Grasse area on the French riviera. The perfume museum is located in the former Hugues-Aîné perfumery of the 19th century. In 2008, the building was reopened after an extensive renovation. If you are looking for things to do on the French Riviera which are outside, Massif des Maures is the place to visit. This is an area of mountains which stretches from Toulon to Cannes. In this area, you’ll be able to enjoy hiking, climbing, stunning scenery, and beautiful nature. It really is the ultimate place to get away from the hectic lifestyle and the large crowds that you might find in the larger cities not he French Riviera. Massif des Maures essentially translates to “the Moorish Mountains”. The highest point of the mountains is 780 meter. The area is also well-known for its cork tree harvests. These small villages on the French Riviera are popular attractions for tourists who want to get a true sense of a real pitorqsque, French Riviera village. 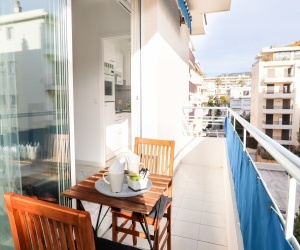 They are located less than 10 kilometers from Nice and are quickly accessed by train. In the area are two seaside villages, which are Villefranche-sur-Mer, and Beaulieu-sur-Mer, and for the explorer, visiting both won’t be a problem .Villefranche-sur-Mer has the most beautiful colourful building, with an even more stunning view over the mediterranean, and in Beaulieu-sur-Mer, you can see the Villa Grecque Kérylos which is a waterfront villa which is built to replicate a house belonging to an ancient Greek around 2nd-century BC. Cannes has multiple beaches worth going to, with the most famous obviously being the one along the Crousette. 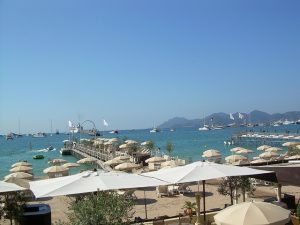 Unlike towns like Nice, Cannes has sand beaches, which makes it highly popular for tourists during the summer. When the weather is great during summer (which it almost always is), the beaches are completely packed. 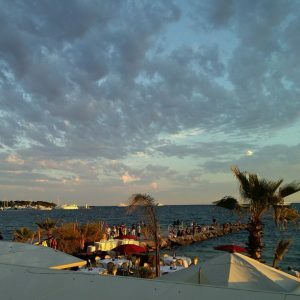 And if you’ve bathed and enjoyed the sun and some drinks and want to do something else, Cannes of course has a lot more to offer. Maeght is a stunning villa and modern building that is built among beautiful pine trees, located on a hill just minutes away from St-Paul-de-Vence. The beautiful building was designed by wh also collaborated with other French individuals, who were Cannes-based art dealers. These individuals came to set up the Maeght foundation, and today, the building is filled by beautiful pieces from artists like Chagall, Braque and Miro, Matisse, Alexander Calder, and many more. The harbour of Antibes is well-known in the world, a reason being that it is also the largest marina in Europe. THe marina has over 100 berths. During summer, the port of Antibes is a popular place for the world’s most expensive boats to hang out, and if you’re passionate about boats, going here during the summer is sure to give you some jaw-dropping sights, and yachts of unimaginable sizes. To have your boat here, you’ll have to pay quite a lot. In fact, a spot costs between 1 and 4 million euros. Every year, the annual Antibes Yacht show is held, something that attracts more than 15,000 visitors. Grasse is a picturesque, stunning medieval mountain village on the French Riviera, located not far from the mediterranean. Grasse is mostly known for being the world’s perfume capital. Many perfumeries such as Molinard and Fragonard offer free tours for you to learn about perfume, but another highly popular reason that tourists go here is because of the never-ending lavender feels that strethces along the hilly landscape of Grasse. Nice is a large town, but it is probably mainly known for its long Promenade des Anglais, or its shopping streets. But a place you use visit is the old town of Nice. Also known as Vieille Ville, or Old Town, is a beautiful traditional French town with narrow streets and colourful houses where you can find anything from markerts, souvenirshopps, traditional mediterranean cuisine, cafés, and much more. If you have the energy, you can walk all the way up on the castle hill, which I spoke about earlier, which gives you the most magnificent view over the mediterranean and Nice. 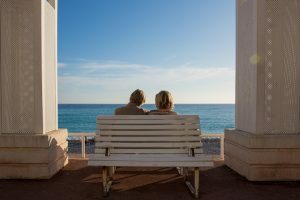 Menton is sometimes referred to as the best secret of the French Riviera, and that’s because it’s often forgotten in the noise of the other cities on the French Riviera. The town of Menton, perhaps the best-kept secret on the French Riviera, and is the last French village before the Italian border. It has the most stunning traditional village with stunning scenery and colourful houses, but the best part is that you can expect far less crowds than in other cities. The prices of virtually everything is generally lower here, and the area has over 300 days of sunshine a year. Menton keeps a slower pace, which makes this a perfect town for a more relaxing day. Menton is mostly known for its exquisite lemons, and each year, Menton holds a lemon festival. During the festival, lots of statues, lots and much more, are almost solely made up of lemons and oranges, and are then showcased through parades that take place on the streets of Menton. Subscribe to Receive Special Offers & Deals!